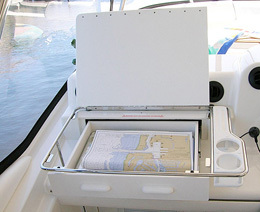 New Wave Offers the Best Accessories for Boats and Yachts. The team at New Wave Fabrication has been supporting yacht owners, boat captains, and fishing charters in the area around Boynton Beach, Florida for many years. Over that time, New Wave has developed expertise in all the equipment, designs and enhancements available. Not only safe, New Wave designs are practical, beautiful and guaranteed. Ask your representative about limited warranties on parts and labor. If you are remodeling an older yacht in virtually any material including aluminum, stainless steel, steel, wood and fiberglass, New Wave has experience with virtually all types of construction. New Wave builders can weld multiple types of metals and alloys directly together, offering fully functional arrays in aluminum and stainless. New Wave also boasts a wide array of specialized equipment meaning no project is too large or too small for this expert team of fabrication specialists. 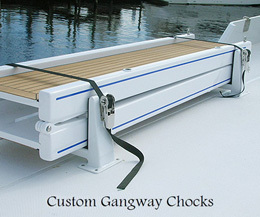 Consider New Wave for Custom Designs for Boats and Yachts. If you need a specific part that is no longer on the market, the fabrication experts at New Wave can design and build a replacement part, often from a picture or even just some basic measurements. New Wave values your business and intends to be your partner if you are working through a substantial renovation. New Wave also enjoys superior buying power with the biggest suppliers in the marine industry. This means if New Wave doesn’t build it, you still get the best prices on the best boat and yacht accessories on the market. If you cannot find the part you are looking for, New Wave will simply build you a replacement part from scratch. Contact us with any questions on parts and accessories for boats and yachts.